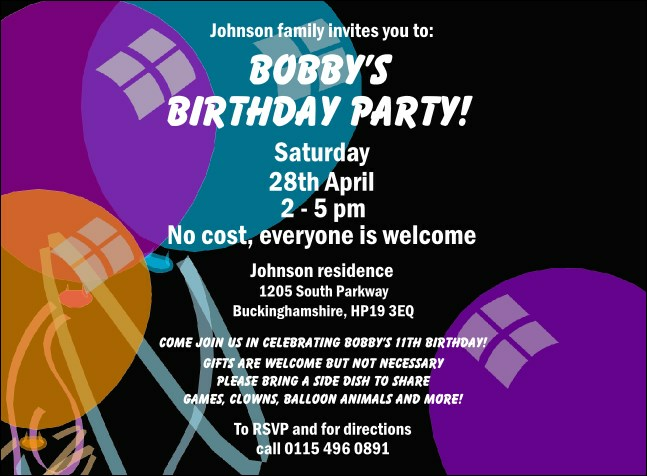 An invitation with balloons and a black background. This invitation template is great for birthday parties as well as many other celebrations. This invitation is 5.63" X 4.14".